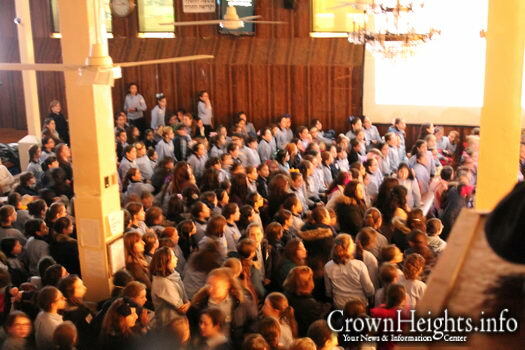 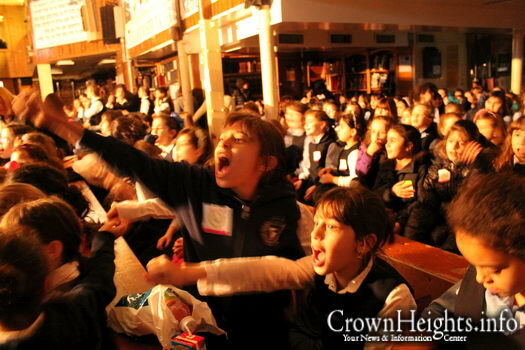 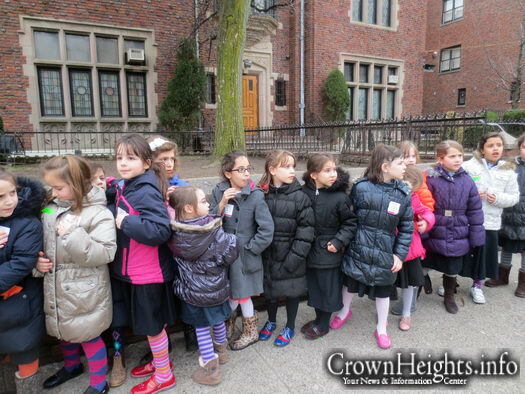 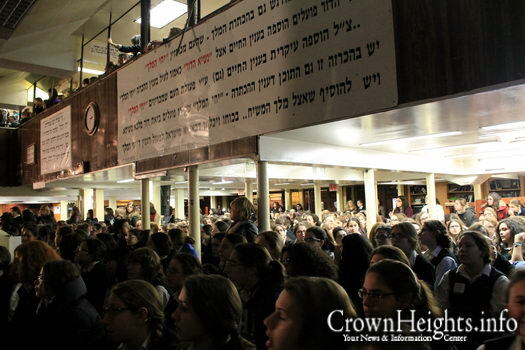 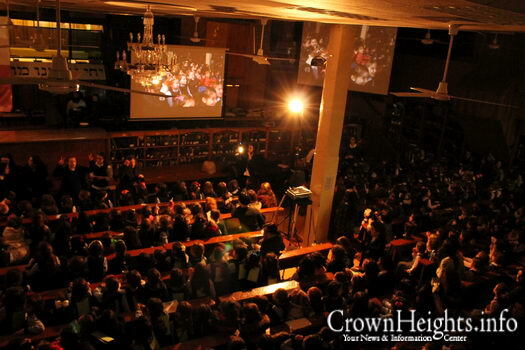 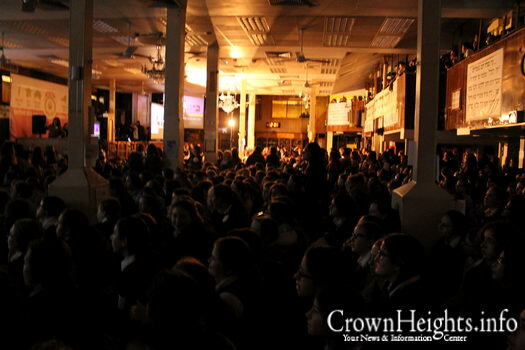 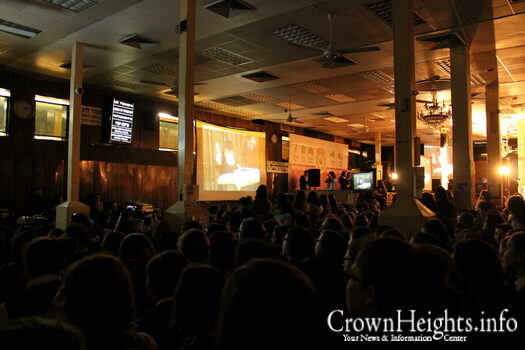 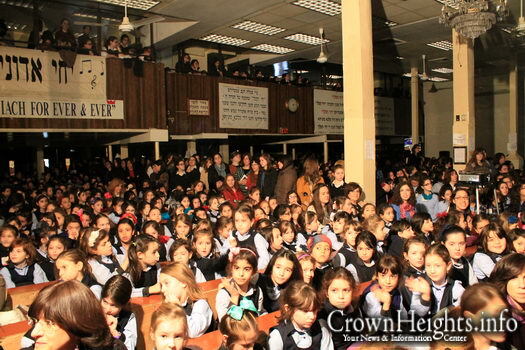 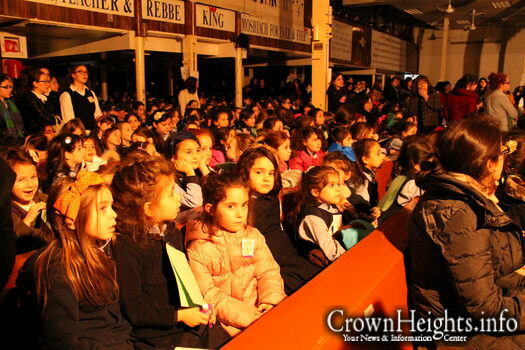 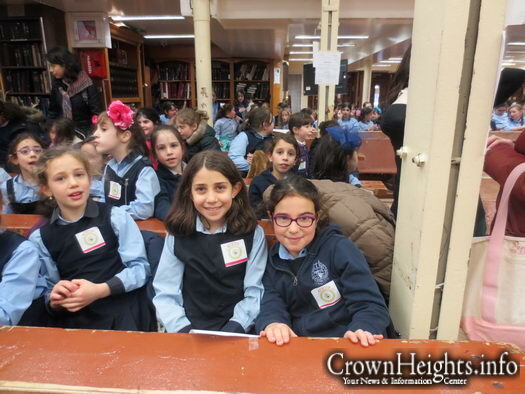 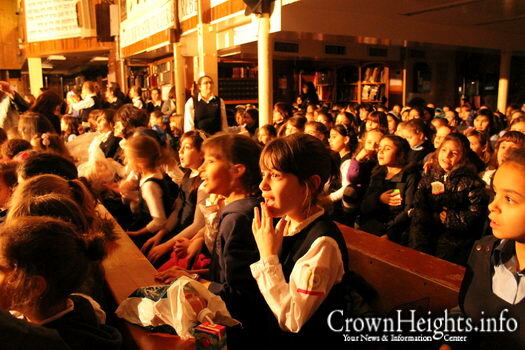 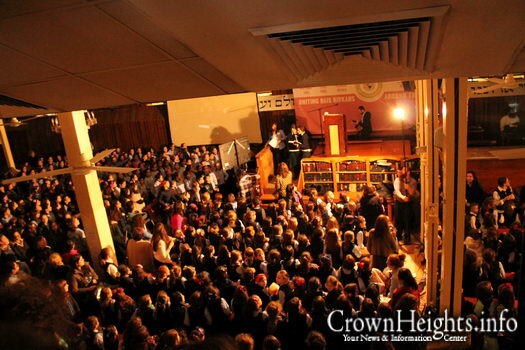 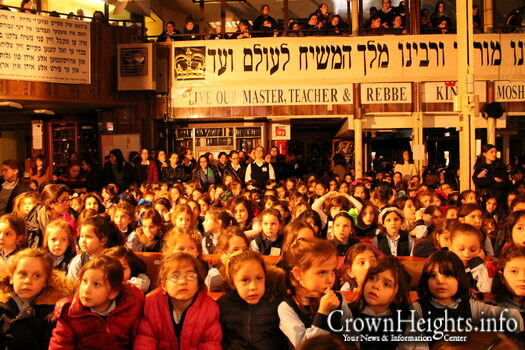 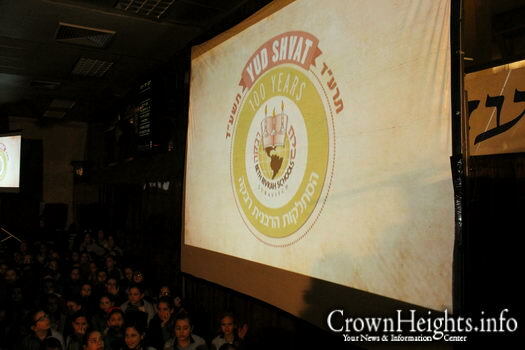 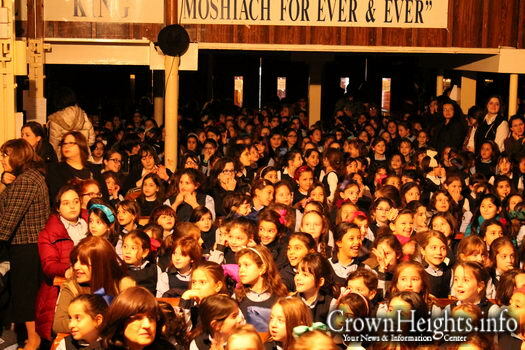 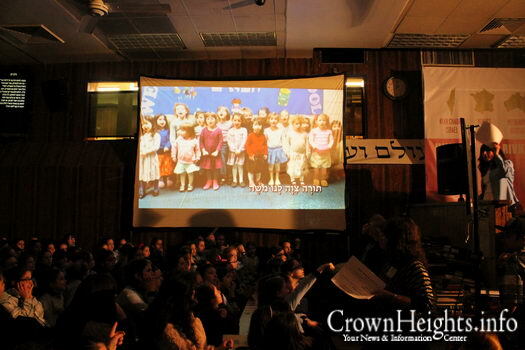 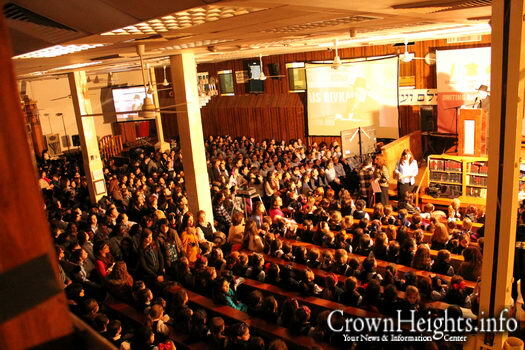 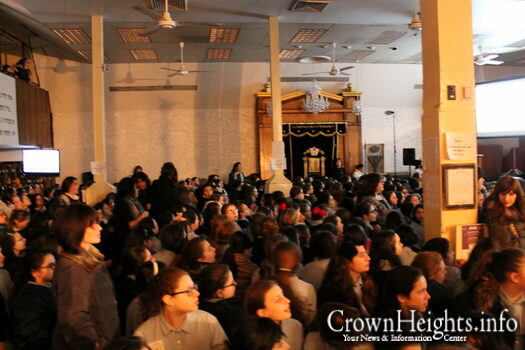 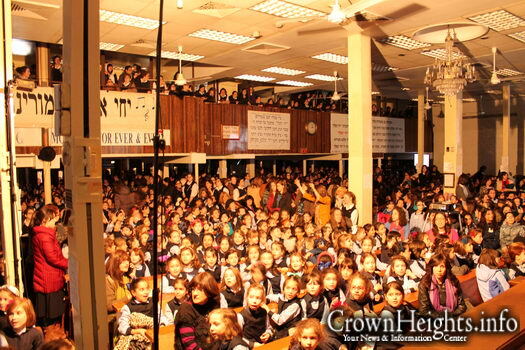 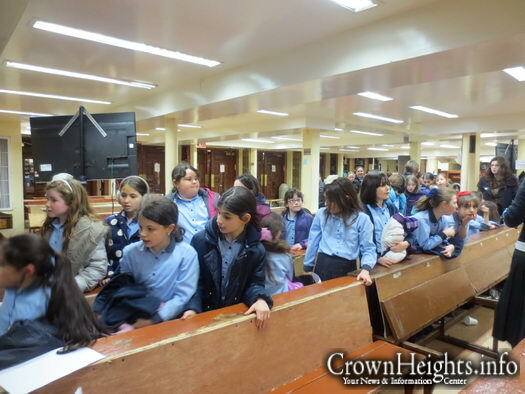 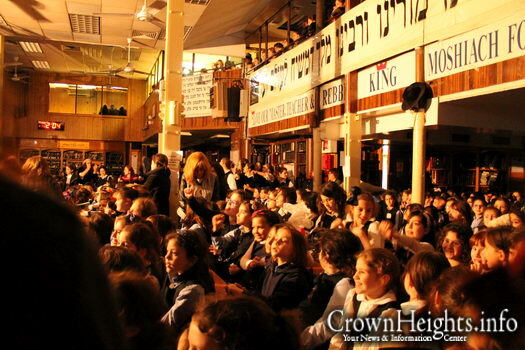 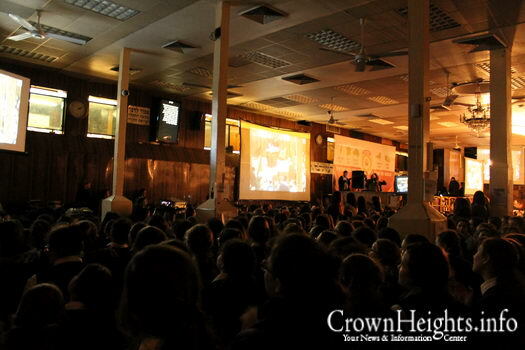 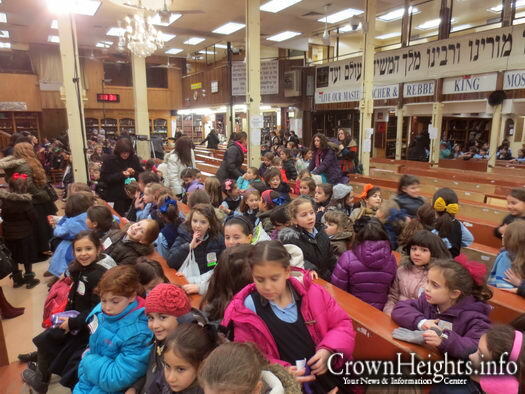 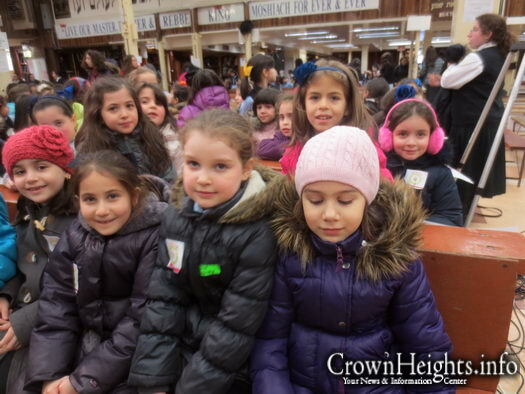 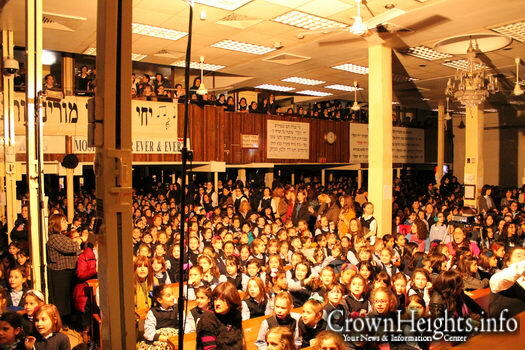 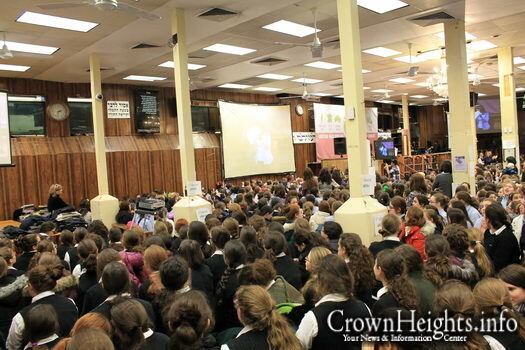 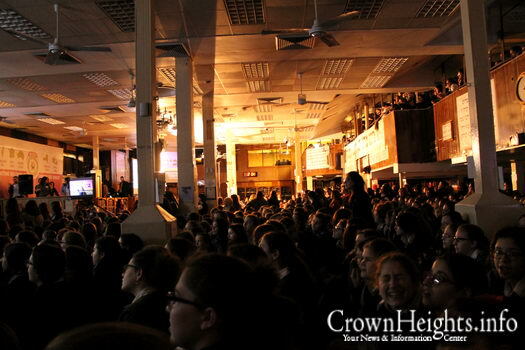 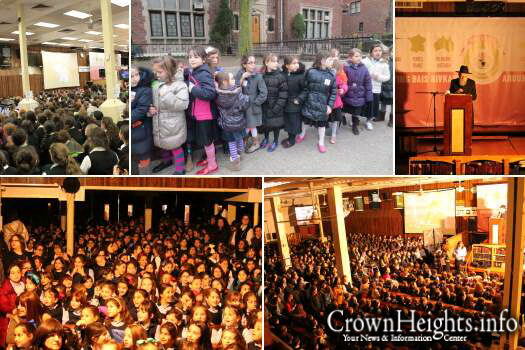 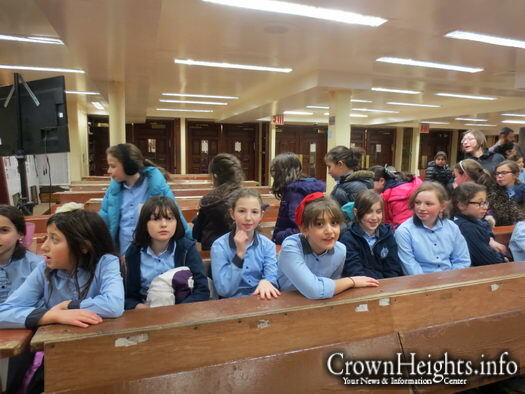 Thousands of Bais Rivkah students, from Headstart through Seminary, gathered in 770 Thursday for a Kinus of Torah, Tefillah and Tzedaka celebrating the 100th Yahrtzeit of the school’s namesake, Rebbetzin Rivkah Schneersohn, OBM. 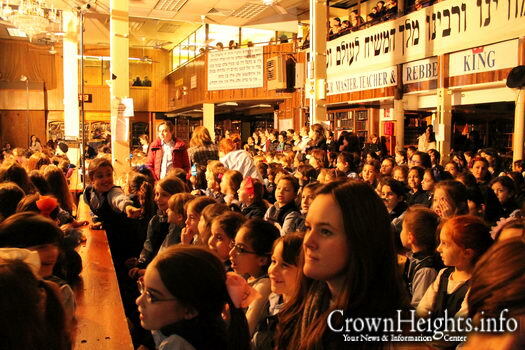 Rebbetzin Rivkah Schneersohn was the granddaughter of Rabbi Dov Ber, the second Chabad Rebbe (the Mitteler Rebbe), wife of Rabbi Shmuel, the fourth Chabad Rebbe (the Maharash) and mother of Rabbi Sholom Ber (the Rashab). 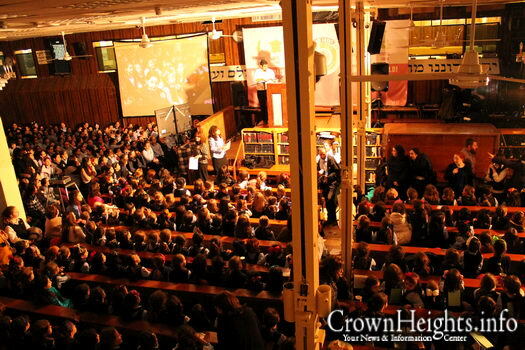 She passed away on Yud Shvat, 1914. 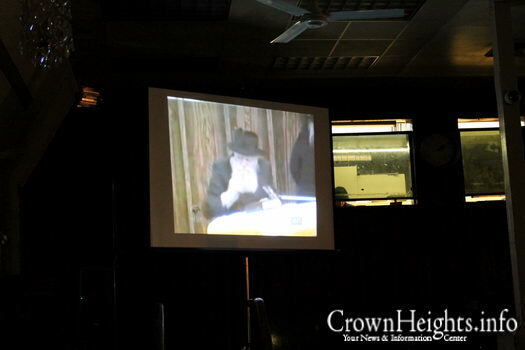 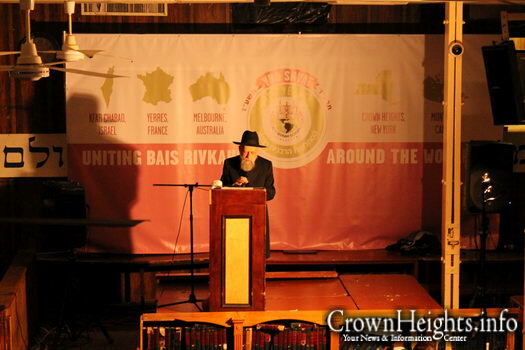 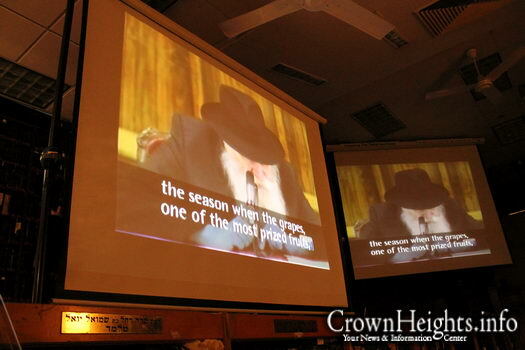 Her grandson, Rabbi Yosef Yitzchak, the sixth Chabad Rebbe, founded and named Bais Rivkah Schools for her. 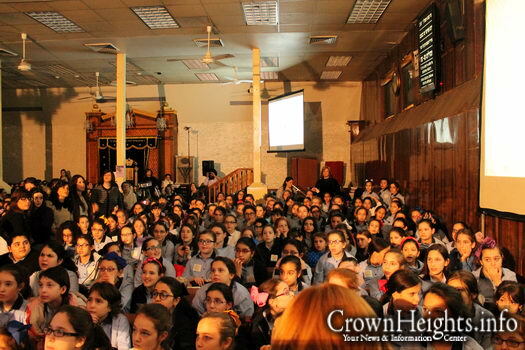 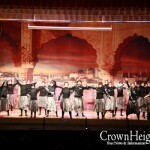 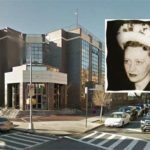 Highly regarded in Lubavitch and beyond for her integrity, humility, and kindness, Rebbetzin Rivka continues to inspire generations of Bais Rivkah students to emulate her character and the values she lived by.